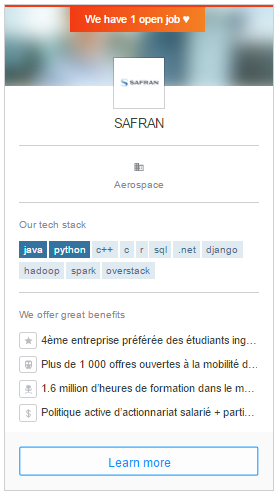 Today I saw a German job advertisement on the Stack Overflow home page. 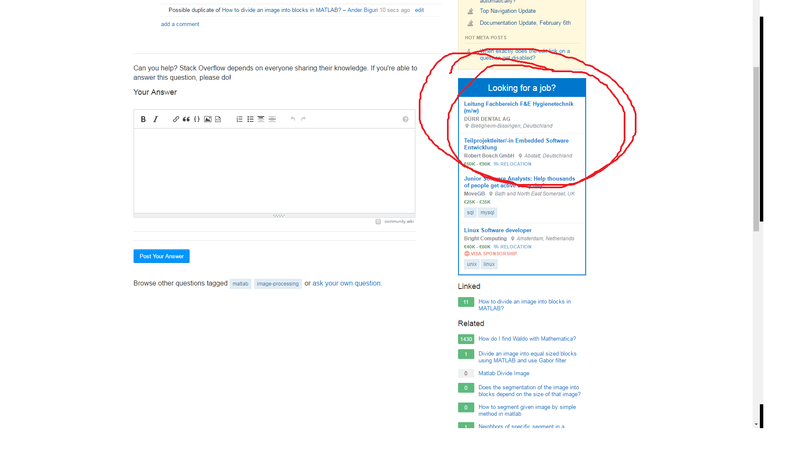 I happen to speak German and live reasonably close to Germany (only 200km or so), but have no indications on my computer that I would like to work there or do many things in German. 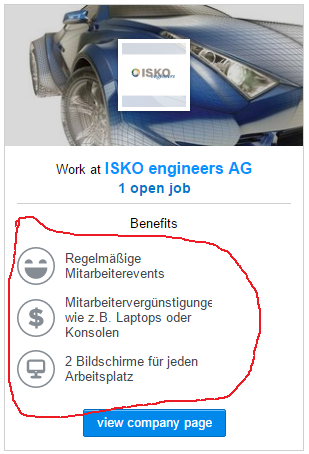 So why am I seeing a German job ad? I'll just block the "feature" from now on. This can sometimes happen depending on how the company sets up their job listing and targeting for it. The job itself might be in Germany, but the company might decide to target it to the whole of Europe, for example. In general, there's several factors which determine what jobs get shown: location, how matched the job is to the person, etc. Sometimes the power of one factor overwhelms the others. We're not yet at the point where folks can say things like: "I only want to work in country X" or "never show me jobs from country Y". So if you see a job which doesn't match your personal preferences, it's a limitation of the system as is, rather than us trying to present to you bad matches, or a bug in the system. It's up to the company to configure the targeting for their job listings. They can determine which locations and other factors they want to show jobs ads to. While in the future I hope we'll be able to put similar controls in the hands of the people as well, for the time being, this means that sometimes companies make... interesting targeting choices. 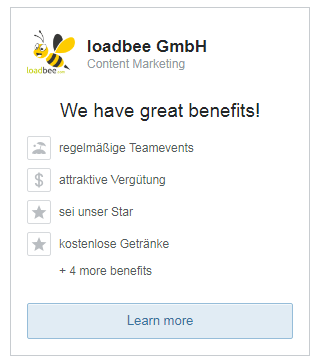 But these are almost always going to be less effective than correctly targeted listings, so we don't expect a ton of wrong-country/wrong-language spam from lots of companies (since they'll be paying for tons of useless impressions). If we end up wrong about that and this starts to be a trend, we want to hear about it so we can revisit those assumptions and fix the issue, so please do keep us posted here on Meta. Who should ensure job advert tags “do their job”? Why am I seeing US job adverts when I am based in London? Why am I seeing this advertisement when I have the Reduce Ads Privilege?